Google's Motorola mobility is aggressive to set its foot firm in the cut throat smartphone market, it has announced three smartphones in the droid series which are code named as Droid Mini, Droid Maxx & Droid Ultra in USA which will be available with verizon wireless from August 20 and can be prebooked now. Motorola Droid Mini will be available with a 2 years contract @ $99. This smartphone from Motorola mobility is a 4G / LTE device that supports both GSM & CDMA network and has a slot for nano SIM. Motorola Droid Mini sports a front panel of 4.3 Inch Super AMOLED Capacitive touch screen with multi touch. This smartphone packs a HD display with resolution of 720 x 1280 Pixels, ~342 ppi pixels density, 16 M Colours. Dimensionally this elegant looking smartphone slips easily in your palm as it measures 121.3 x 61.3 x 8.9 mm (4.78 x 2.41 x 0.35 in), Motorola Droid Mini is also very light as it weighs mere 130 gms (4.59 oz) & there will be no confusion to select a colour because this smartphone comes in only one option viz; Black. This latest addition in the droid family brags of KEVLAR fiber body, splash resistance & Corning Gorilla Glass protection of the front panel. Under the skin of Motorola Droid Mini is a Dual Core 1.7 GHz Krait Processor, Qualcomm Snapdragon S4 Pro, Adreno 320 GPU, 2 GB RAM. Technical aspect of this smartphone is capable of efficient multi tasking & will be pleasure for gamer. 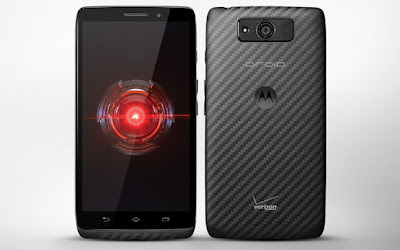 Motorola Droid Mini will come out of the box with Android OS v4.2 (Jelly Bean). This smartphone is stocked with a 16 GB of internal memory & Motorola mobility has skipped on a microSD card slot (you read it right). On the data connectivity aspect Motorola Droid Mini features Wifi, Wifi HotSpot, DLNA, Bluetooth v4.0 (A2DP, LE, EDR), microUSB v2.0, NFC. The positioning aspect features GPS with support for A GPS & GLONASS. To collect your memories on the go this compact smartphone hooks a 10 MP primary snapper on the rear panel with LED flash light, auto focus, geo tagging, touch focus, face detection & this shooter is capable of recording HD videos of 1080 P @ 30 fps. The 2 MP secondary snapper on the front panel will give a brilliant video chatting experience. Motorola Droid Mini pack a Li-ion battery with a juice of 2000 mAh.